Kartik Shanker is Director of Ashoka Trust for Research in Ecology and the Environment, Bangalore. 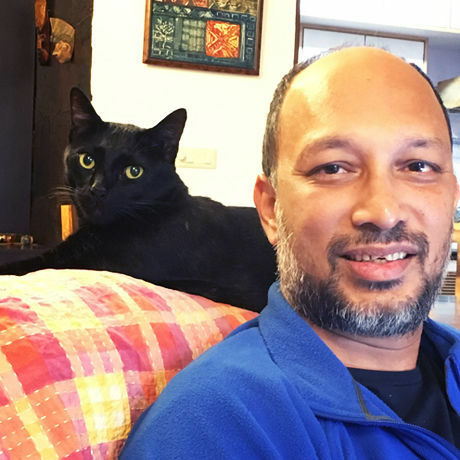 He is on leave from the Centre for Ecological Sciences, Indian Institute of Science, Bangalore where he works with students on the ecology and evolution of frogs, reptiles, birds, plants, and reef fish and other marine fauna. He is also a founder trustee of Dakshin Foundation, which works on coastal and marine conservation and livelihoods. Shanker has worked on the biology and conservation of sea turtles for the last 25 years, and has ongoing projects on olive ridley turtles in Orissa, and leatherback turtles in the Andaman Islands. He is the founding editor of the magazine, Current Conservation, a magazine which combines art and science, and the author of the book From Soup to Superstar, a historical account of sea turtle conservation in India. In his spare time, he seeks to distract young minds from more serious pursuits with books such as Turtle Story, The Adventures of Philautus Frog and Lori’s Magical Mystery.